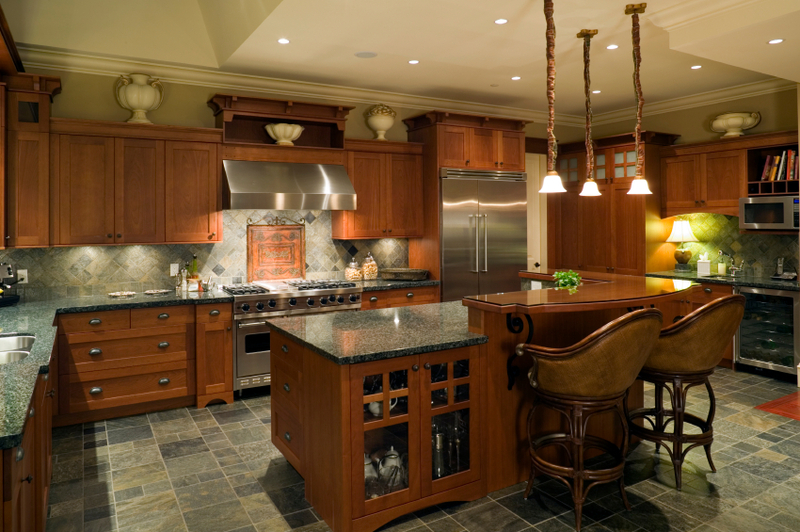 There are plenty of options when it comes to kitchen flooring, each with their own advantages and disadvantages. In this blog, we’ll look at two of the more popular kitchen floors, and what you can expect from them. 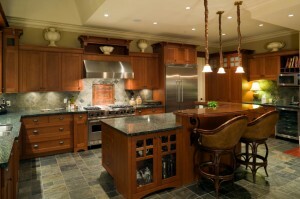 Tile floors are popular in kitchens both for their visual appeal and durability. Tile stands up to foot traffic, spills, and doesn’t absorb odors or bacteria, making it especially great for the kitchen. Tile floors are usually made from ceramic, porcelain, or stone, all of which can be found in a variety of colors and patterns. One downside to tile is that its durability also makes it hard on dishes, which will almost certainly shatter on impact. In addition, tile is tough on bare feet and can be uncomfortable to stand on for long periods of time. Linoleum has gone in and out of style over the years, but it has been making a comeback recently as its environmentally friendly construction becomes one of its big selling points. Linoleum floors are made from natural materials such as solidified linseed oil, resin, and wood flour, and it also contains no volatile organic compounds. It’s also hypoallergenic, which keeps indoor air quality at good levels and also makes linoleum flooring easy to clean. A drawback of linoleum is that it may expand and contract from moisture, so it’s important to immediately clean up any spills. Linoleum comes in sheets, tiles, and panels and squares. This entry was posted on Monday, January 6th, 2014	at 3:26 pm	. You can follow any responses to this entry through the RSS 2.0	feed. Both comments and pings are currently closed.